I recently heard a guest lectures discuss new and relevant media tools to use in the communication industry. In my Corporate Communication class, Sean Carlson captivated my attention by introducing me to new applications and inspired me to use it for faster research making sense of real-time information. BU alumni, Carlson, gave some quick advice for aspiring PR practitioners as well as new media tools. He explained that he regularly interacts with the media to help the journalism industry understand the digital shift and increase Google’s positive relations with tech reporters. 1. Read bylines and understand newsroom structures: remember writer’s titles when attempting to establish a future relationship. 2. Spend time alone: most of your ideas are shaped by friends, family, teachers and jobs. Leave your computer and find yourself. Reflect on what you’ve learned to form and hear your own ideas before sharing. I wanted to better understand the high volume of tweets about IBM’s Watson. The timeline shows the high volume around 6p.m., real-time feed, Top links and Top quotes. Much easier to analyze sifting through information of a #hashtag. I had a lot of fun quickly searching large websites with specific topics. By typing “your topic site:website” Google quickly finds all the pages within a website on your topic. 3. Video Cueing: Ever wanted to share a funny Youtube video, but only want your friend to see between 0:57-2:00 minutes? Feel bad your friend has to wait for it to load?If you know where you want the video to cue type in Version: #t=0m57s . To better understand search behavior, use this tool to predict how the world will react. Example: Thousands of Americans typed the word “mortgage” in Google. Four months later there was a economic crash. Anayltics should use this tool to predict the future. Type in numerical information to create a map of your data. 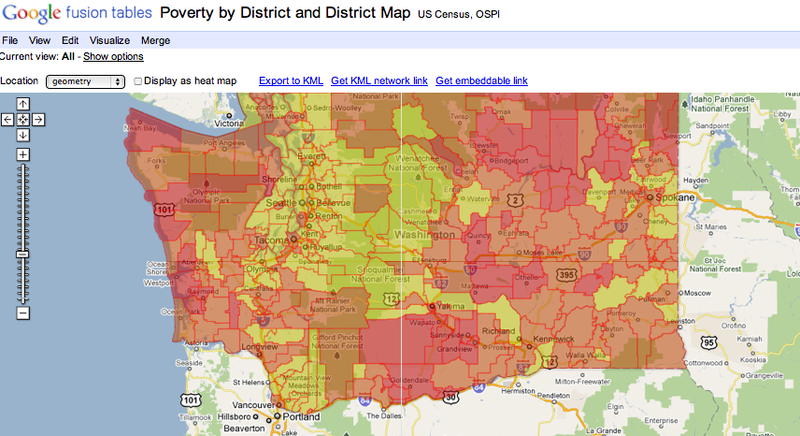 Here is an example of “Poverty by District in Washington State School Districts.” Clear visual where the news stories are happening. Humorous tool to see in real-time what the Twitter-world: love, hate, think, believe, feel and wish. Don’t be mislead by the name, this tool is similar to Google’s Real Time feed to see what the world is saying about a specific topic. 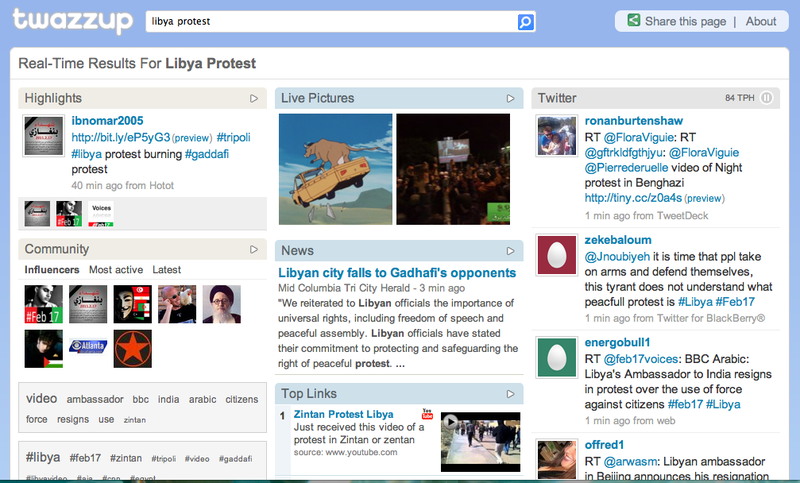 See my search of Libya’s protests.